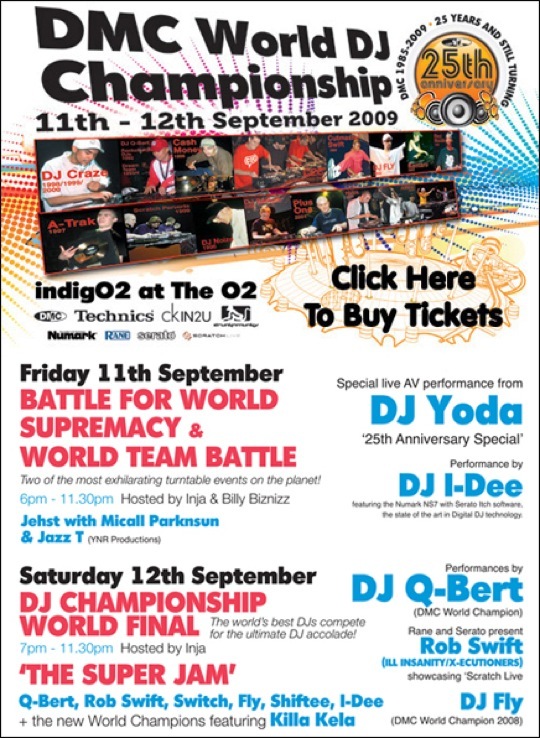 The 2009 DMC World Championships will take place on Friday September 11th & Saturday September 12th and marks the 25th anniversary of the DJ battle. Feature performances are scheduled to include DJ’s Yoda, I-Dee, Q-Bert, Rob Swift, and more. Visit DMC World for ticketing info. List of 2009 DMC competitors listed after the break! That’s a good look but what city is the battle going to be held at ?